Architects as 'Unsung Masters of the Mid-century.' Left: Campbell & Wong. Right: Ladd & Kelsey. Photos: courtesy Kitty Okamura (left), Jennifer Kelsey (right). The other feature is our latest installment of 'Unsung Masters of the Mid-Century.' 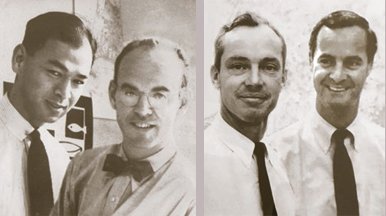 If they ever make a mid-century modern edition of Trivial Pursuit, our Unsung Masters series might qualify as an invaluable resource, with the newest installment focusing on ten outstanding yet unheralded California architects. 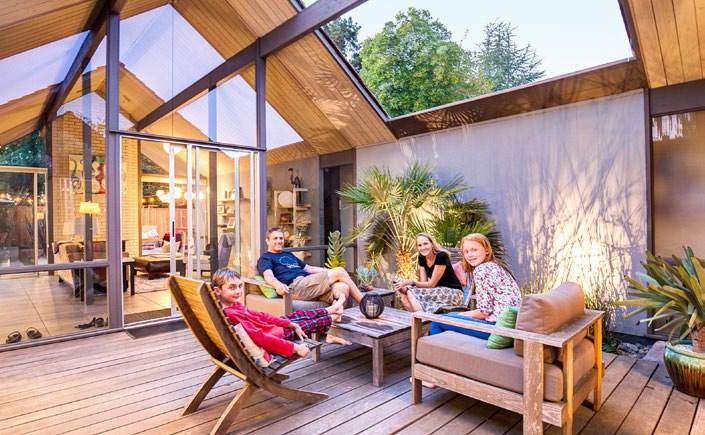 As far as sublime magazine content goes, you can't get more idyllic in the MCM world than stories about the tiny Eichler neighborhood in Monte Sereno or the pristine restoration of the X-100 Eichler in San Mateo. 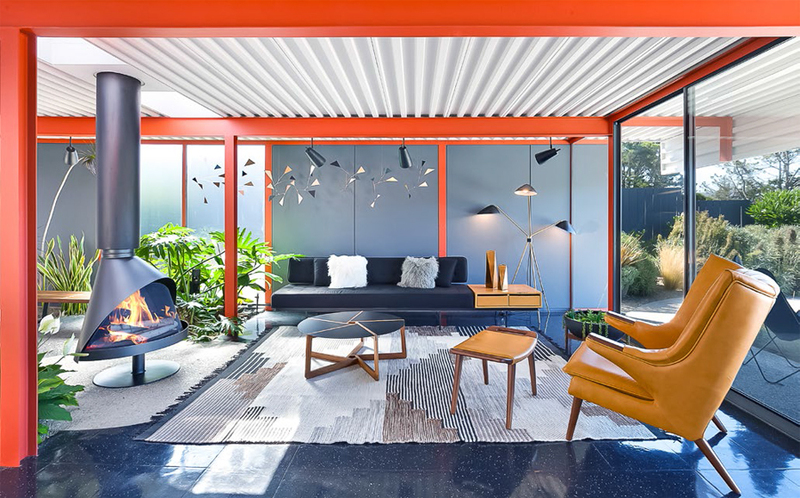 The latter, as told in 'Eichler X-100 in Full Bloom,' was recently returned to its mid-century glory by Eichler Network publisher Marty Arbunich and is illustrated in sparkling photography by Sabrina Huang. 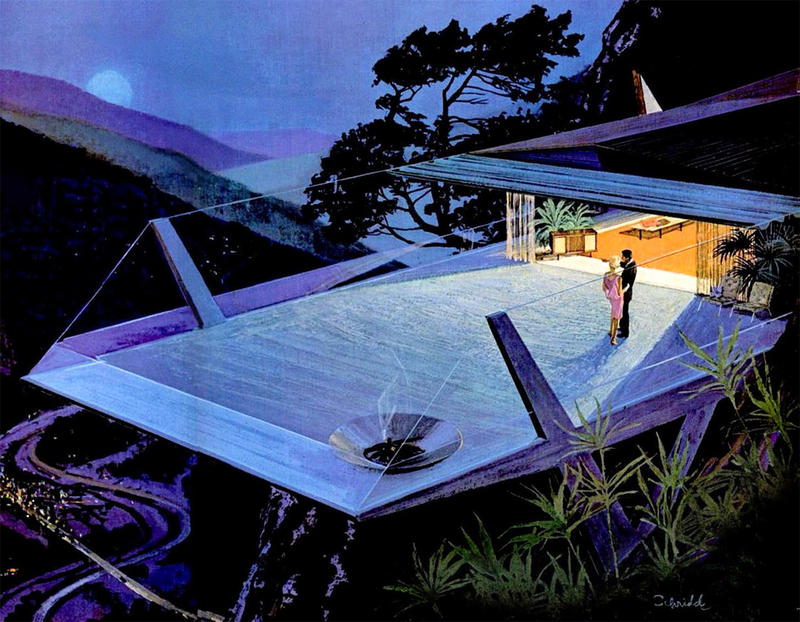 "Both [interior designer] Lucile Glessner and [landscape architect] JC Miller deserve a lot of credit for bringing together the big-picture plan," Arbunich said of two Eichler experts who helped him restore the unique, steel-framed X-100 demonstration home from 1956. Decorated with spiffy modern furniture and accented by bright, cinnamon-toned steel beams, the restoration, as Arbunich pointed out, achieves his wildest hopes: "Looking at the new photos, I'm so happy with the results." Such happiness founded in MCM dreams is also embedded in the neighborly feeling that adds up to 'Sweet Sixteen,' Weinstein's Feature Storyboard profile on the Monte Sereno Eichlers along Via Sereno in this tiny town just west of Los Gatos. "Though it is just off sometimes-busy Winchester Boulevard in the South Bay hamlet of Monte Sereno, the 16-home Eichler cul-de-sac retains a rural feeling," Dave writes of one of Joe Eichler's smallest subdivisions. "Adding to the tract's creative flair is its artistic community. Artists have lived in the tract from the start…"
So there you have it—the essential, the trivial, the sublime. Ah, but what of the ridiculous? Well, to that end we can only offer the quizzical, anthropomorphic expressions worn on the cover of the new CA-Modern by two dogs, who apparently await a signal to action from a third, more statuesque pooch in a stylish MCM setting. The cover photo, by Castro Valley Eichler owner Dash Plunkett, is a beaut, and lends that certain silly something to a magazine issue that truly boasts something for everyone. For those who don't already get the print edition of CA-Modern delivered to their mailbox, click here to order. Also, here's a flip-book edition of the entire issue for your immediate enjoyment.